Osteoporosis is defined as a skeletal disorder characterized by reduced bone strength predisposing a person to increased risk of fracture. The current position in Rehabilitation Medicine about how to rehabilitate and prevent osteoporosis is that we should not focus only on bone, ignoring muscle function and balance elements directly associated with the disease, because they protect from falls and fall related- fractures. 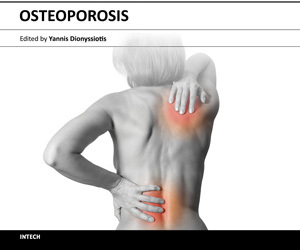 The evaluation of the osteoporotic patient begins with the medical history that includes information on risk factors for osteoporosis. Moreover, the physician needs to consider the physical, functional, psychological and social situation of the patient. The therapeutic approach includes a reassessment of nutritional status and medication for osteoporosis, calcium supplements, vitamin D and possible co morbidities. During an individualized rehabilitation program, in postmenopausal women resistance training is beneficial for muscle and bone strength, and an education program is provided for carrying out daily activities safely in individuals belonging to populations at increased risk for osteoporosis and fractures. Training includes simple weight bearing exercises helping to maintain physical fitness and bone mass in elderly and generally in those with low bone density. Walking aids and occupational therapists are required in subjects with functional impairments. Particular attention should be given to improving the balance throughout the program especially in old people. Given the close interaction between osteoporosis and falls, prevention of fractures should be based on factors related to bone strength and risk factors for falls. Fractures are the most serious complication of osteoporosis and may be prevented by interventions at the level of education, environmental modification, aids and functional exercises that reduce falls and fractures from falling, but also with proper medication.